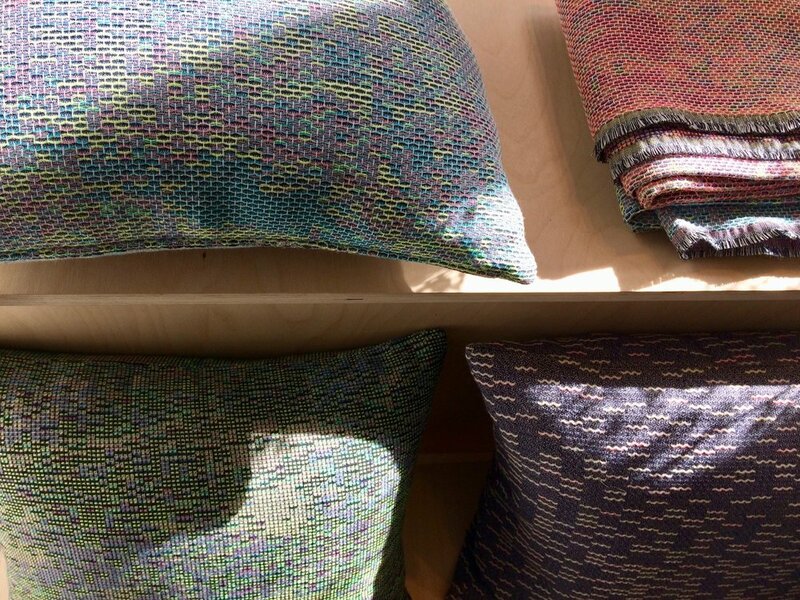 The textile creation studio "NoMoreTwist" presents a new production of objects that highlight jacquard weaves. These fabrics are the result of experiments on a loom playing around the color, the thread and its interlocking. A technical and sensitive approach of the material to discover in the presence of the designers.